Are you ready to start reloading your own ammunition? Grab A Gun is here to help you get started if you’re new to the reloading process, or to get you back in the reloading game if you’ve gotten off track. There are a number of reasons why reloading your own ammunition can be beneficial. 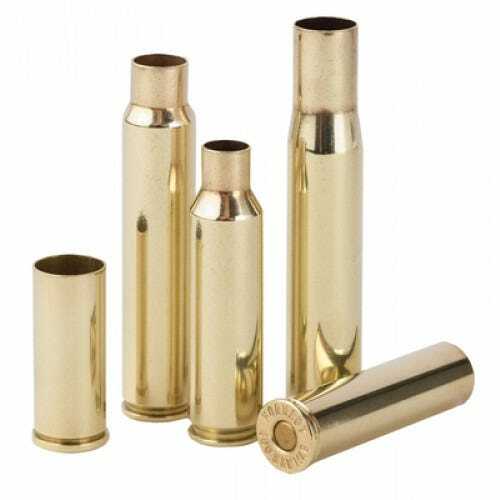 Did you know that the most expensive part of ammunition is the brass casing that’s used to hold everything in? Why should you just throw this part away when you can re-use it? In fact, saving money is one of the top considerations when it comes to why shooters choose to do their own reloading, and for good reason. Depending on the caliber, and the costs of primers, bullets and powder, reloading your own ammo can save you a ton of money. But reloading your ammunition is about more than just reducing costs. You can also increase your accuracy by tailoring your ammunition components to your particular firearm. Reloading your own ammunition allows you to figure out what your firearm likes “best” (types of primer, etc.) when it comes to shooting accurately. You would really be surprised what a big difference a bit of personalization can make. Regardless of your reasons for choosing to reload your own ammunition, you’ve come to the right place for your reloading accessories. Grab A Gun is your go-to source for firearms and all firearm accessories. We have everything you need, from the web’s best firearm selection to lights and cleaning products and holsters. And if you don’t see what you’re looking for, just contact a friendly member of our staff. Our customer service representatives are the best in the industry. So if you’re thinking about reloading your ammunition, let us help you find what you’re looking for. Trust GrabAGun.com for all of your firearm needs.